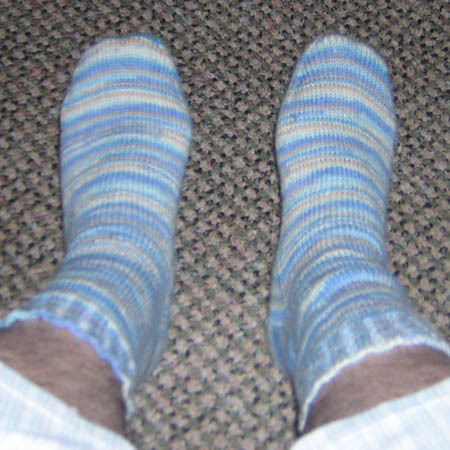 Here is my finished first pair of socks! I stayed up late putting the toes in and kitchener stitching them shut, but I just couldn’t stop where I was! Anyway, I am wearing them this morning, because they are warm, they are cool, they are mine, and I made them!